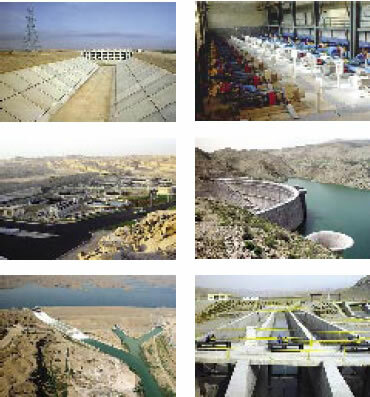 MGCE is one of the leading consulting engineering firms in the water industry in the Middle East, whose high quality services during many past years placed it among the leaders in this field. Innovation in technology and highly qualified experts, together with commitment to engineering excellence, enable us to provide solutions for, and support the industry. The experience of the company has a history of more than 30 years. 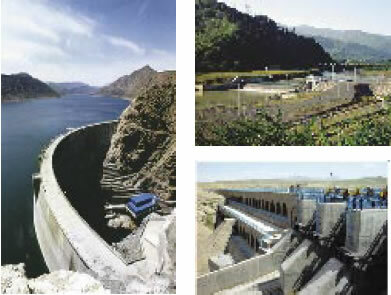 Therefore, after years of hard work and high quality services in studies, design, and construction supervision in the fields of dams and hydropower plants, irrigation, drainage, water supply, and sewerage systems, our efforts finally came to fruition. Now is the time when we can proudly introduce ourselves as one of the leading consulting engineering companies in the Middle East or even Asia. One of the company's long-term objectives, however, is providing a comprehensive range of consulting and engineering disciplines to different countries of the world, particularly, Arabian, African and Middle Eastern countries. Aiming at upgrading our knowledge, we have decided to promote our relations and contacts with Libraries, International Agencies, International Consulting Engineers, and all those firms that are involved in water projects around the world. We are subscribing to many international prestigious cultural institutions and receive their most recent scientific and technical publications. In this way, we have been awarded several valid certifications. The World Bank has confirmed the competence of MGCE in the water industry. Also early 1999, as the first consulting engineering company in Iran, Mahab Ghodss was awarded ISO 9001 Quality Assurance Certificate by SGS. Mahab Ghodss has implemented more than 1000 projects and received the Iranian National Quality Award as well as various certificates and letters of appreciation from national and international scientific societies and renowned personalities. According to the latest evaluation and grading by the Iranian Planning and Management Organization, MGCE is presently competent to handle 141 contract capacities in 6 disciplines and 17 grades for development projects.